Normally when I change an object’s fill or stroke property, the same property in the default changes too. I’ve found two cases where this doesn’t happen and I wonder if these are bugs. Oops, that second screenshot is smaller. 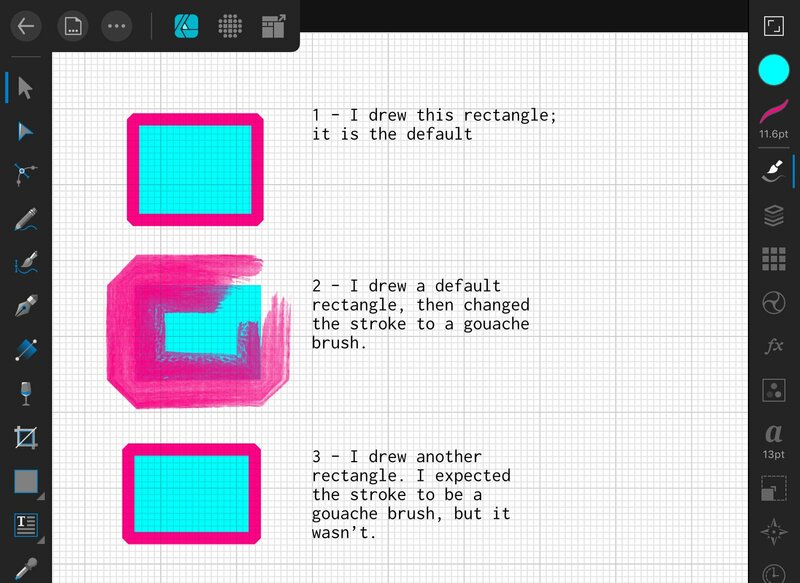 Only settings such as Stroke width and colour will be saved and will update the default. Making an edit to an object such as an Opacity Gradient will not change the default, I would suggest creating a Symbol of the shape. Thanks for your answer J, but I’m not sure that’s the entire story. 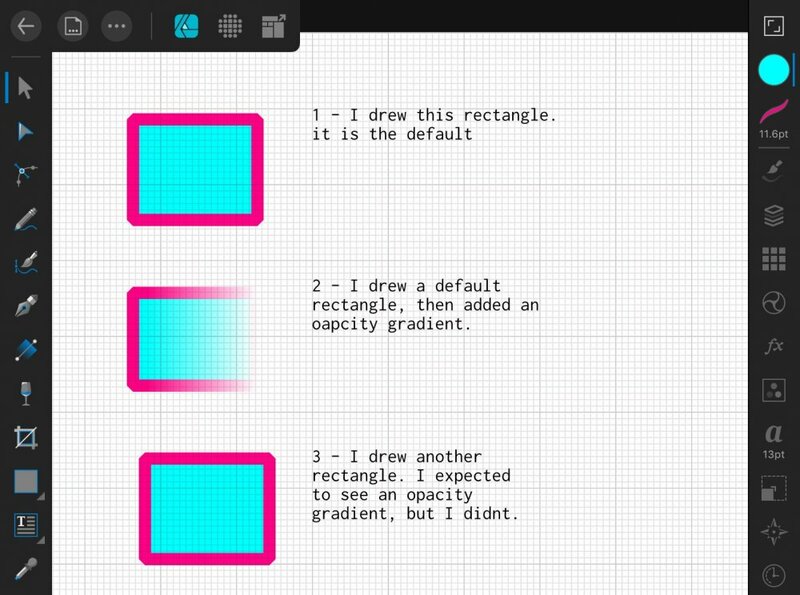 - If I repeat those steps for case 1 in my previous post but immediately after step 2 I tap Synchronise from Selection then the opacity gradient does get added to the default (ie, when I draw more rectangles they have opacity gradients). - If I repeat the steps for case 1 in my previous post but add a colour gradient instead of an opacity gradient then the colour gradient does get added to the default. - And if I repeat the steps to add a colour gradient and tap Synchronise from Selection then it gets added to the default. This shows that gradients can be part of the default. Designer handles colour gradients fine, but seems to have a bug with opacity gradients - my case 1.